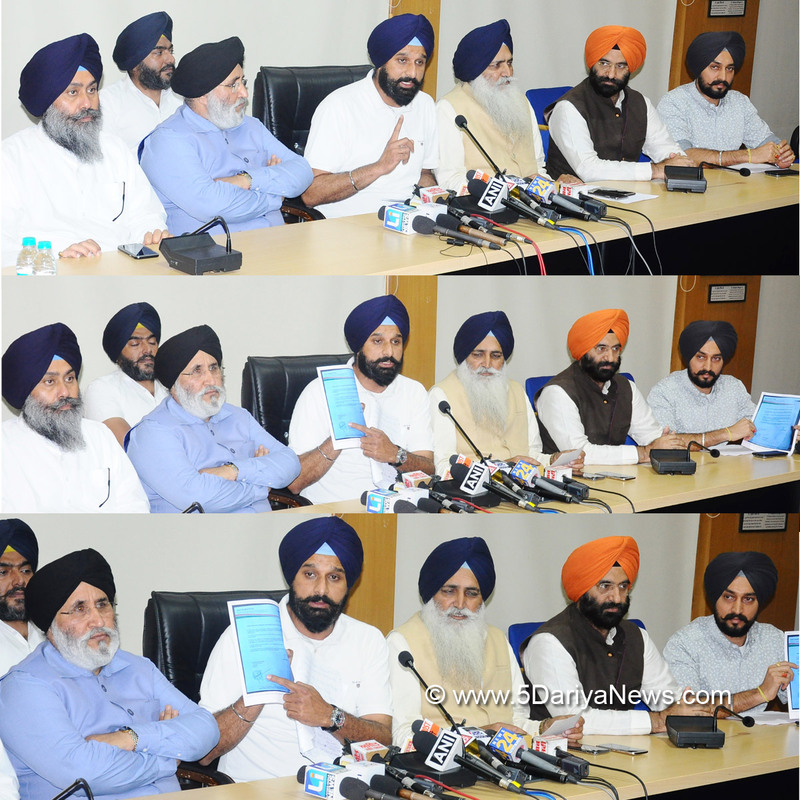 Former minister and Shiromani Akali Dal (SAD) general secretary Bikram Singh Majithia today said he was grateful that truth had won and Aam Aadmi Party (AAP) Convener and Delhi chief minister Arvind Kejriwal had realized his mistake and apologized for making false allegations of drug trade against him.Addressing newsmen here, Mr Majithia said the Delhi chief minister’s apology had affirmed that politics of smear campaigns would never succeed. “It is indeed a historical moment that a sitting chief minister has submitted a written apology in court withdrawing all statements he made against me besides regretting the damage caused to my esteem as well as hurt caused to my family, friends and well wishers. In today’s day and age we are bound to commit mistakes. It is human nature. Mr Kejriwal has displayed great courage to admit his mistake and move on. I thank him for this gesture. However I want all politicians who seek votes on the basis of lies to realise what they are doing. This is not good for our society”.The former minister said he was grateful to the strength bestowed on him by the almighty as well as friends and well wishers which nurtured him during the torturous journey when attempts were made to assassinate him politically as well as socially. “I am also grateful to former chief minister S Parkash Singh Badal who reposed faith in me as a minister as well as party President Sukhbir Singh Badal and the entire Shiromani Akali Dal (SAD) which stood behind me as a rock. I am also beholden to the people of Majitha who believed in me and rejected those who were leveling these false allegations”.Mr Majithia also expressed his sense of gratification to AAP for realizing its mistake. “I have maintained from day one that either Mr Kejriwal will apologize or he will go to jail. Now that he as well as Ashish Khetan have apologized I have asked my counsels to withdraw the defamation case I had filed against them in May 2016 at Amritsar. I would only like to tell them that such allegations, which are aimed at tarnishing someone’s image, do not benefit any politician or his party. Such politics should end”.Stating that he fought to protect his as well as his family’s honour, Mr Majithia said he regretted that the entire controversy had taken a toll on his mother who was consumed in worry because she could not understand this kind of politics. “My wife also went through a difficult phase. “I thank the almighty that this chapter has ended and the truth has prevailed”.